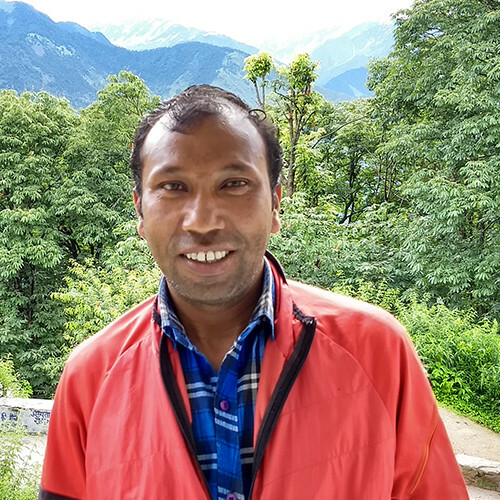 Jagat Ram - Independent Trekking Guide. RECOMMEND Me Now. No customer ratings yet, be the first one to rate Jagat! Jagat Ram was born in Munsiyari and grew up in the same town. Jagat Ram took up trekking as his profession as he liked the feeling of trekking after experiencing it a few times. Jagat Ram is also a self proclaimed bird guide for the birds in the Corbett National Park. Jagat Ram has worked for the Geological Survey of India. He is a volunteer at Red Cross India and has been recognised by the Red Cross Society of India with a certificate for his contributions. He was part of the rescue operations during the 2013 floods in Uttarakhand. When it comes to conservation, Jagat Ram says there needs to be more regulation so that the mountains can be preserved.